We offer the following specialty services. Contact us today for more information. Modern dental techniques allow our dentists to perform root canals comfortably and quickly. We use many different types and combinations of dental anesthetics to make this important procedure far more comfortable than it was in years past. Patients no longer need to lose their teeth because of Periodontal (Gum) Disease. 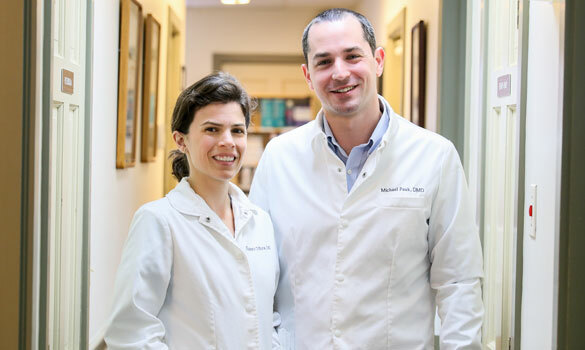 Our dental practice offers comprehensive periodontal treatment, such as scaling and root planing and laser treatment or surgery to repair gum damage and disease. This important specialty helps preserve both the appearance of your mouth and its long-term health. Advanced periodontal techniques have recently been developed that allow us to replace missing dental bone or gum tissue in a patient. These sophisticated techniques may be the right choice to address your specific periodontal issues. Our practice can provide you with the information you need on appropriate gum and bone treatments for you. Dr. Mark DiBona and Dr. Michael Pauk using the dental operating microscope for enhanced precision during dental procedures. When they are healthy and properly positioned, wisdom teeth are a valuable asset. But problems frequently develop that require a skilled dentist to remove them. For example, when the jaw isn't large enough to accommodate wisdom teeth, they can become impacted and unable to come in. Crowdedness can also make wisdom teeth grow sideways, emerge only part way from the gum, or remain trapped beneath the gum and bone. If you are concerned about your wisdom teeth or experience pain or inflammation in that area of your mouth, please phone us to come in for an assessment. We can recommend a course of action for your immediate comfort and with your long-term oral health in mind. TMJ (temporomandibular joint syndrome) is referred to as TMD (temporomandibular joint disorder) or MPD (myofascial pain dysfunction). These terms are used interchangeably for the same group of symptoms. TMJ headache, migraine, and neck ache pain can often cripple a patient. Our skilled dentists use state-of-the-art technology to determine if your symptoms are caused by malocclusion and, if so, what your optimal jaw position is. Once we make a diagnosis, we can recommend an appropriate course of treatment. The appliance we use can be seen at National Dentex Labs. You are not alone if you feel anxious about a visit to the dentist. We understand and share your concerns and strive to make every dental visit comfortable. If there is anything else we can do, let us know. In addition to topical and local anesthetic, nitrous oxide (laughing gas) and twilight sedation are available for those patients who may need a little more. We offer noise cancelling headphones and iPod Shuffles so you can sit back and relax. 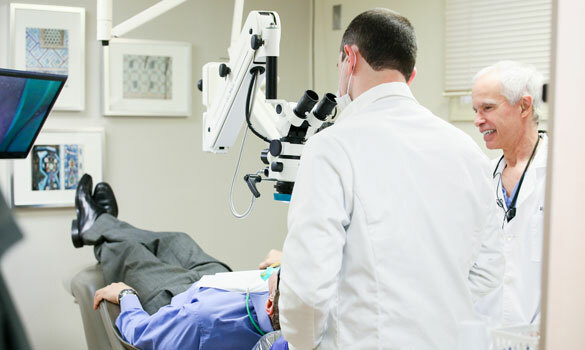 The DiBona Dental Group has extensive training in treating nervous patients. No numbness, no shots, no drills. For many dental procedures, we now use a Waterlase, the "gentle laser", which lets us to painlessly do many cavities without the drill or a shot. We can treat gum disease less invasively, and do many minor surgical procedures painlessly. If you have teeth that are sensitive to cold or sweets, the waterlase can permanently desensitize them. We can even do many rootcanals without the need for anesthesia. Our diagnostic laser, the Diagnodent, detects small cavities before they crack through the tooth's enamel. By measuring the reflected laser beam, the Diagnodent tells use how much decay is hidden below the surface. Knowing this allows us to do micro laser dentistry and conserve the tooth much better than ever before.